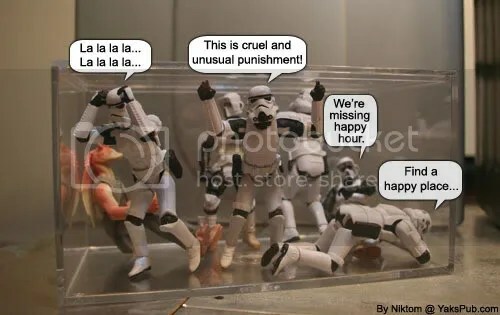 Yea,if I was stuck with Jar-Jar,I’d scream………. Loved the sequels!! Totally funny!! dude, just cuz they shot you with a dart? man, that’s cold! Yeesh, remind me to not get on your bad side, Nik’.